MacOS Mojave is the new Apple desktop operating system which features a dark-skinned theme on the system-level, which gives the interface a more attractive appearance with black or gray elements. The dark theme is one of the most awaited features that macOS users are looking to add. MacOS with the previous name OS X or earlier Mac OS is Apple’s exclusive Desktop operating system, which macOS High Sierra was the latest version of the operating system for PCs and Macs. macOS Mojave’s Performance, stability, and security have dramatically increased compared to earlier versions of Mac Operating system. 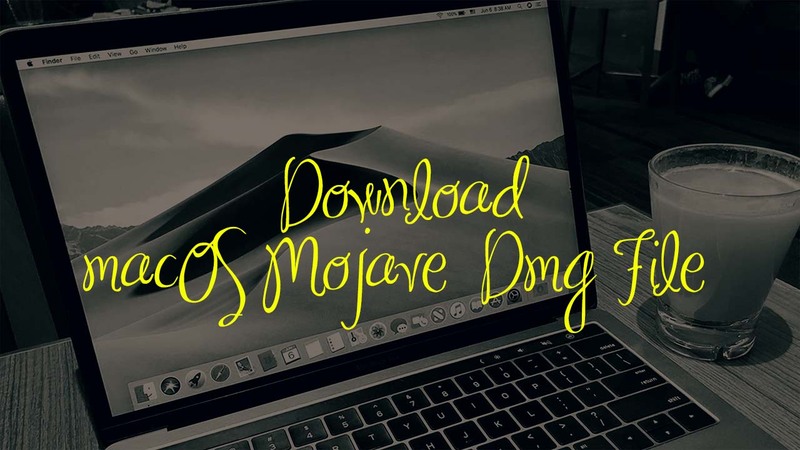 Download MacOS Mojave dmg File and Install on PC. on World Wide Developer Conference (WWDC) Apple announced the version of Desktop Operating system called macOS 10.14 Mojave along with iOS 12. This new version has several important features that you can read later. Apple CEO Tim Cook noted at the event that the new features are inspired by professional users’ comments but are designed for everyone. 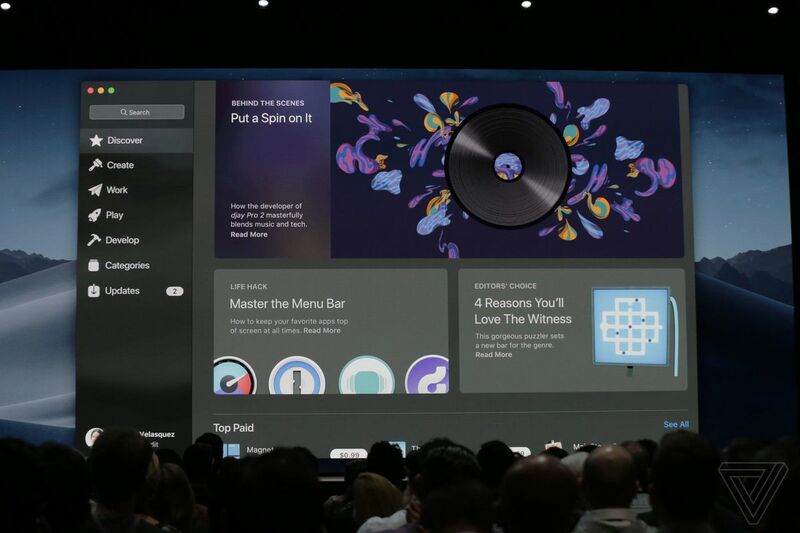 A new version of macOS was unveiled on September 24, 2018, at the annual WWDC developers’ annual conference. But the beta version of macOS Mojave was released on June 4, 2018, on the WWDC. Finally, after a long time, Apple brought dark mode to MacOS. This mode darkens the environment inside the operating system, including the taskbar and color scheme around the applications. This mode does not change the performance of the operating system, and only makes the environment more beautiful and suitable for working in a dark environment. Increase the speed of implementation by 40%. Use the Metal Graphic Interface to increase speed. iOS apps like News and Stocks have been added to the desktop operating system however it is possible to import more iOS Apps to macOS Mojave. Hey, Click on the below links and wait for 5 seconds, then click on the get link and the downlaod will start. In order to Install macOS Mojave on PC, first, you have to create a bootable USB of macOS Mojave. well, there are several ways where you can create bootable USB Flash Drive but I can not guarantee about will it work or no. That’s why I have found a perfect way to Create bootable USB for macOS Mojave on Windows. The procedure is a little long but it gives 100% result. If you don’t know How to Install macOS Mojave on VMware Workstation Pro click the below link. As well as you can Install macOS Mojave on VirtualBox on Windows 10 too by following the below link. Second, Once You Installed the macOS Mojave on Virtual Machine Insert the USB Flash Drive and start creating bootable USB for macOS Mojave on Windows 10. The files which You need for Creating bootable USB Flash Drive for macOS Mojave are macOS Mojave VMDK File and a 16 GB USB Flash. If you are wondering this method only works for Windows, then you are wrong because with this method you can Create Bootable USB for macOS Mojave on Mac too. Click to Read More about How to create a Bootable macOS Mojave USB Installer drive on Mac and Windows 10. Third, Once you are done with Installing macOS Mojave on Virtual Machines and Creating a bootable macOS Mojave USB, it is time to Install macOS Mojave on PC-Hackintosh. Click to Read more. well, It was all about Download MacOS Mojave dmg File and Install on PC. I hope it was helpful for you and by the way, If you really liked the post please share and comment on the post, so we feel better. can you tell the password of the RAR ? this is the last version or is a beta one? yes, that’s the latest version, and I have also included the Latest version of macOS 10.14 Mojave on Google Drive too. So, there is no need for you to worry to download all the parts one by one. is this a official version ? Can i use TransMac with this? Yes, 100% you can use it. Pingback: How to Dual Boot macOS Mojave and Windows 10 on PC? where is the google drive link? Sorry man, we were facing too much error on that. That’s why we took down the link. The macos mojave dmg is fine, it is te transmac, sometimes it works but sometimes it do not work. So, follow those steps. It will work. I AM TRYING TO INSTALL MACOS MOJAVE ON A PC THAT ALEADY HAS WINDOWS INSTALLED WITHOUT WIPING IT, not loosing data..
Well in the case dual boot windows 10 and macOS Mojave. Hey, it has to work for every pc. The links are updated, please recheck it. wow, really your article is awesome and it helped me a lot. thanks for sharing dear. how to create dmg file like you created with os downloaded in mac?